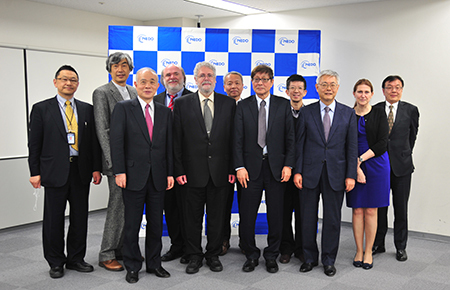 The Okawa Prize Commemorative Lectures 2015 were held on March 3, 2016 at TIME 24 (held at the same time with the NEDO/AIRC International Symposium on Future Artificial Intelligence). Dr. Junichi Tsujii (Director, Artificial Intelligence Research Center, National Institute of Advanced Industrial Science and Technology) and Dr. Jaime Carbonell (Director, Language Technologies Institute, Carnegie Mellon University) gave lectures commemorating their winning the Okawa Prize. 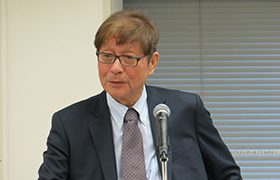 Dr. Tsujii made a speech on what the AIRC, for which he has served as the director since May 2015, is trying to pursue; Artificial Intelligence embedded in the real life. Dr. Carbonell discussed the research on machine learning, which is the core of Artificial Intelligence, along with the current trend and examples of research. *For the Okawa Prize, Okawa Publications Prize and Research Grant Presentation Ceremony, click here. After the guest speech of Dr. Makoto Nagao, Past president and professor emeritus, Kyoto University, Dr. Masao Sakauchi, the chairman of the Okawa Prize Selection Committee (President of NICT and professor emeritus, the University of Tokyo) explained about the Okawa Prize and winners�' contributions for which they received the Okawa Prize. He celebrated their winning the prize and hoped further development of researches in the field of artificial intelligence. 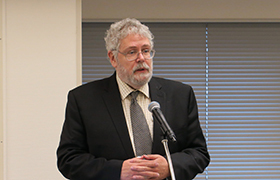 The commemorative lectures were held jointly with the International Symposium on Future Artificial Intelligence co-hosted by the New Energy and Industrial Technology Development Organization (NEDO) and Artificial Intelligence Research Center, National Institute of Advanced Industrial Science and Technology (AIRC). In the symposium, Dr. Phillipp Slusallec (DFKI and Saarland University, Germany), Dr. Haizhou Li (Institute for Infocomm Research, Agency for Science, Technology and Research, Singapore), Dr. Minoru Asada (Osaka University) and Dr. Hideyuki Nakashima (President, Future University Hakodate) introduced their researches at each organization.